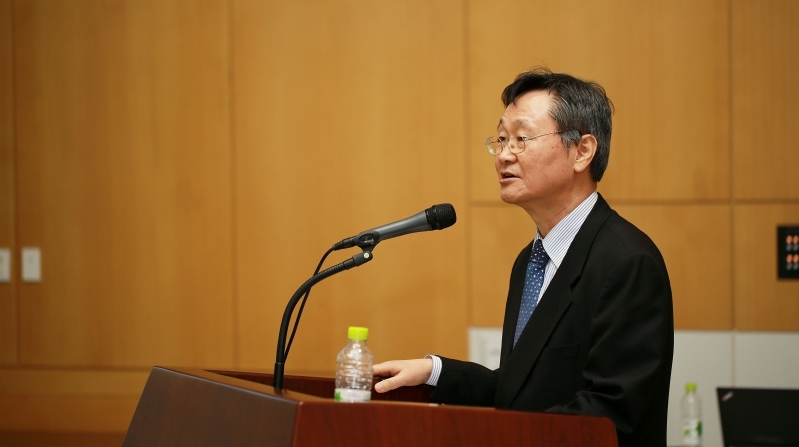 Vice President, Jae Sung Lee of Academic Affairs, delievering a speech at the opening ceremony of UNIST Disaster Management Institute (UDMI). 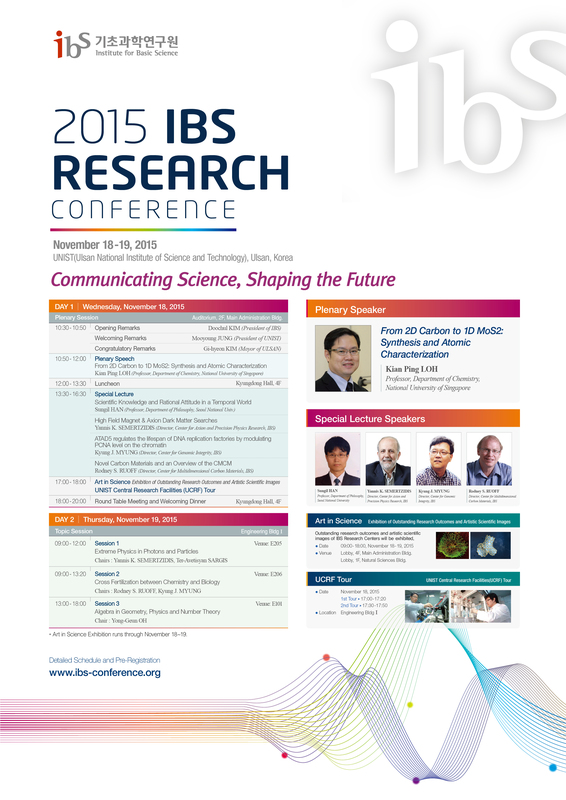 A Safe Future: UNIST Can Help Reduce Disaster Risk in Ulsan! The institute for disaster management and reconstruction at UNIST was formally inaugurated in the afternoon of December 7th, 2015. It was greeted by the Director Jae Hyun Shim of the National Disaster Management Institute (NDMI) and President Sangman Jeong of Korean Society of Hazard Mitigation (KSHM). 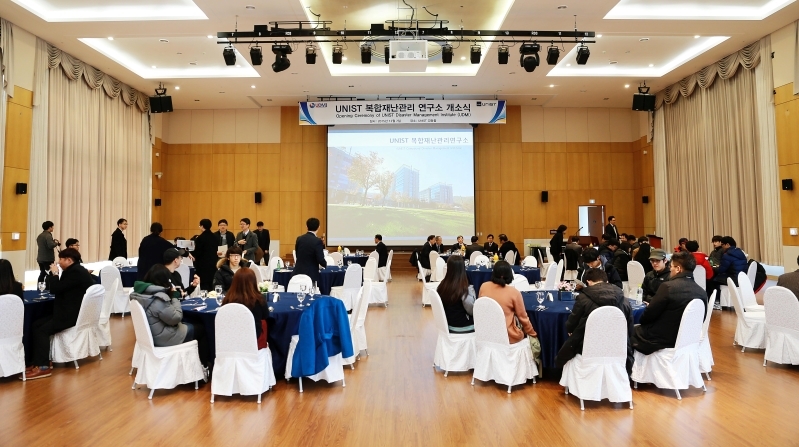 Deans of different faculties, department heads, directors, and experts from various fields, including disaster risk management, IT, public administration, and policy analysis also attended the ceremony while Prof. Dong Keun Yoon (School of Urban and Environmental Engineering) presided over the ceremony. 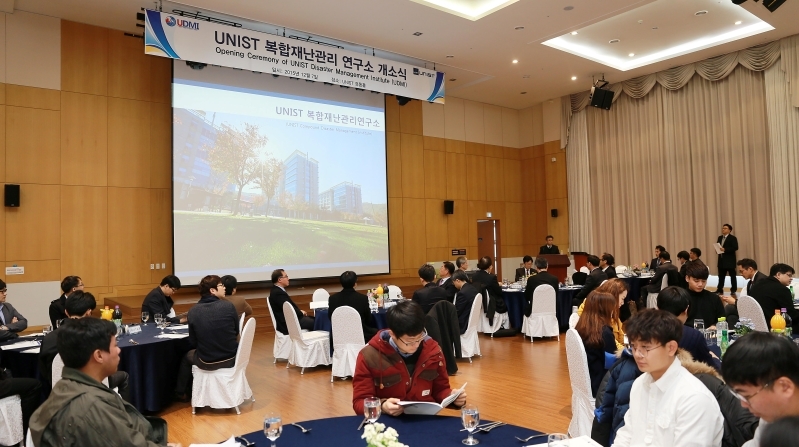 UNIST is committed to cultivating top-notch talents in the field of post-disaster reconstruction and management, undertaking related scientific research, and fostering academic development and innovation to enhance capacity and services in disaster prevention and reduction, minimizing disaster-prone economic and human losses for sustainable development of the society. Together with this institute, UNIST strives to become an international social service platform to confront the challenges of global major disasters and crisis of the whole world and all the human beings.